I decided to rework my army list a little. 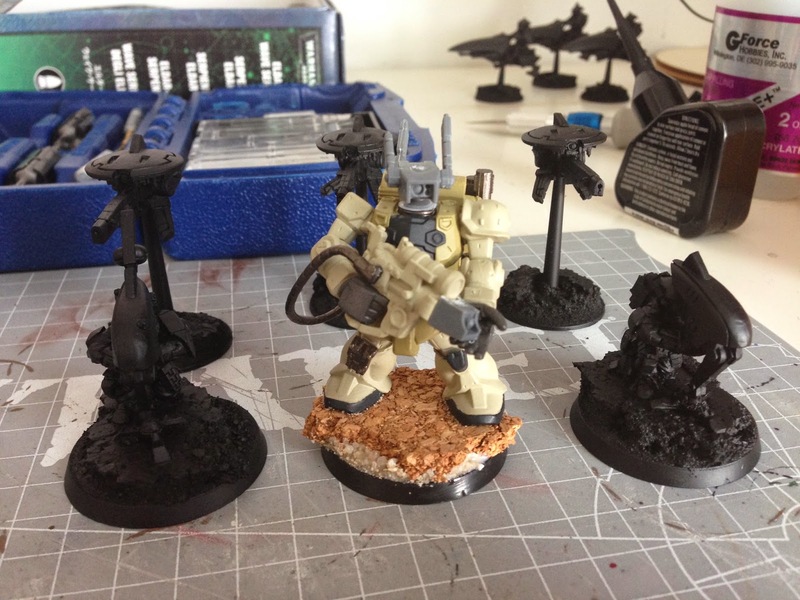 I'm adding 3x Jetbikes, a basic Ordo Xenos Inquisitor for Psychic Communion and a Tau Sniper Drone Team. I haven't kitbashed the =][= guy yet, but the other two squads are ready for some paint. 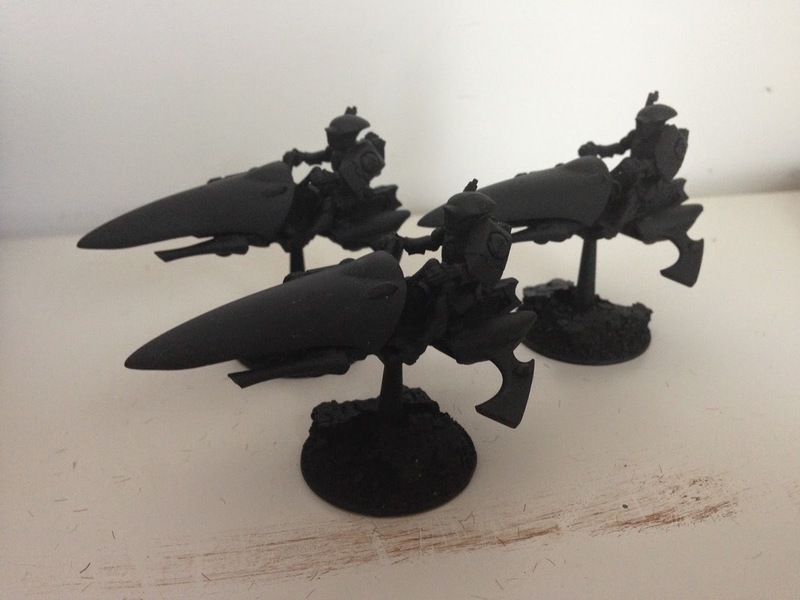 Bad lighting, but these are Fire Warriors riding Eldar Jetbikes. A Converted Gundam Converge model who is the 'vre version of a Firesight Spotter. 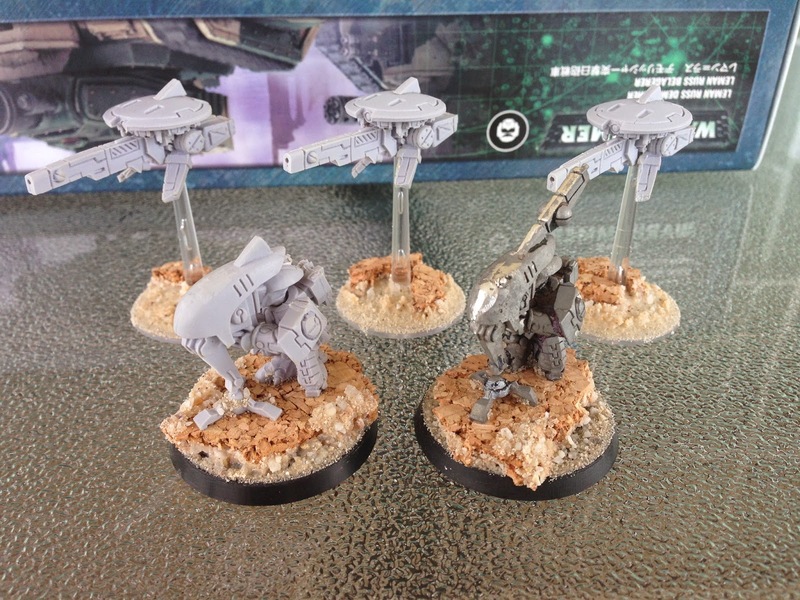 The rest of the Drone Team unprimed. The one guy is ghetto old metal, but will look the same one primed. I don't actually like the bulky antennas, so I cut the off the drones and the one Finecast dude. The metal guy looked fine.